When I was still a youngster, I always envied the fact that my parents had all the freedom in the world, buying whatever and whenever they wanted. One of the things I saw my parents had that I also wanted to have as a kid was a car. Now that I’m a parent, I know my child also has a similar desire. The good news is we can now make our kids’ dreams come true and have them drive their car - at least the ride on version. In this post, we’ll give you some insider tips in choosing a ride on car that would best fit your child’s needs, and we’ll also give you a glimpse of the top models available in the market today. Now that you’re familiar with the basic factors to consider when shopping for a ride on car, it’s time you find out the top models for the year 2018. If you’re looking for a model with a realistic design, you might want to consider this one. 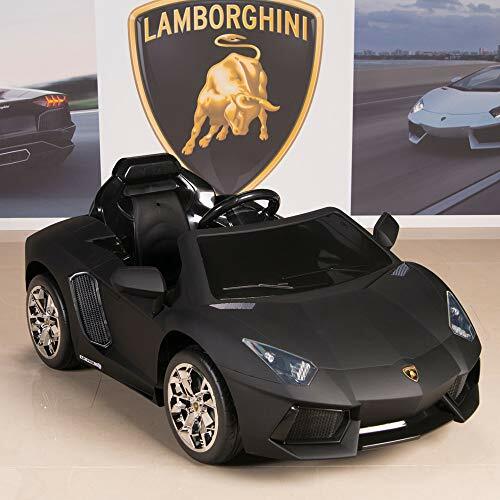 This is a scaled-down version of the Aventador and is officially licensed by Lamborghini. It features aerospace styling and sculpted angles. It comes with a rechargeable 12-volt 7Ah battery with an 110-volt charger and features a Bluetooth 2.4 GHz remote plus USB/SD ports for music and an adjustable seatbelt for safety. It lets you select three speeds and comes with functional front and rear lights, as well. Finally, it has a weight capacity of up to 66 lbs and is suitable for kids 2 to 4 years old. Allows you to select from 3 speeds and even comes with a reverse. Makes a sound and the lights flash when turned on. Can be operated with a remote by an adult or driven by a child through the steering wheel and foot pedal. Only runs up to 4MPH. This is another model that has a lot of details to keep your little one interested. 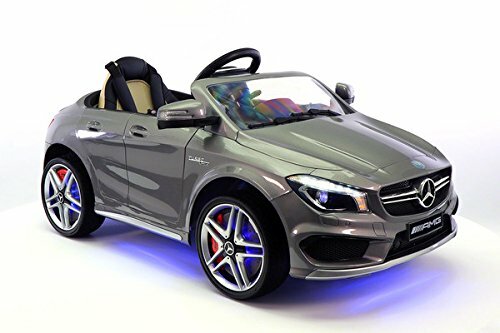 Manufactured under license by Daimler-Benz, this 12-volt ride on car is suitable for boys and girls 2 to 5 years old. It comes with a 2.4 GHz parental remote control and features soft start and brake systems. It has working headlights and taillights, too, plus realistic dashboard gauges. It also features a 3-position adjustable telescopic steering wheel, plus a 5-point safety harness attached to a PU leather seat. Can be operated from afar with its long-range 2.4 GHz remote control. Comes with an integrated folding handlebar and rear caster wheels that allow you to move the car even when it’s out of battery. Has an audio alert to indicate passenger needs to buckle up already. Can be a bit difficult to maneuver with the limited turning radius. If space is a huge consideration for you, you might like this BMW X7 Style SUV ride on car. It offers two seats, one in front, and one at the back. It also has two opening doors, fully functional headlights and taillights, LED lights, and input for music. It produces engine sounds when turned on, as well. The steering wheel is also musical and comes with a functional horn. Provides ample space for your kids and can support up to 80 lbs. of weight. Provides 3 different speeds on the remote control. Has two foldable wheels at the back for easy storage of the car after use. Some parents might find the car a bit heavy and bulky. 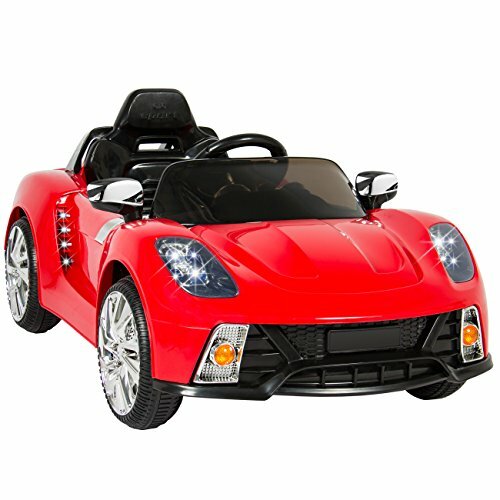 This ride on car model from Best Choice might be perfect for you if you’re looking for something that’s both functional and fun. It’s well designed and has simple, yet attractive exterior features. Its other features include built-in musical tunes, MP3 player input, working front and rear lights, high and low-speed options, and forward and reverse drives. The remote control can also control both steering and speed, allowing you to control the car if your child is not able to reach the accelerator pedal yet. Style and fit are perfect for kids 2 to 4 years old. Speeds are geared perfectly and the motors provide enough torque. The remote controller is very responsive and easy to operate. Very user-friendly and is a good option for first-time users. It does not provide enough turning radius. Max speed is only up to 2 mph. The steering wheel is kind of low and forward and far from the seat. This is more of a buggy than a sedan- or SUV-type vehicle, but it might be the top choice if your child loves the outdoors. Manufactured by Monster Traction™, this dune racer is designed for both beginners and advanced users. It lets you drive forward between 2.5 mph and 5 mph, and even drives up to 2.5 mph in reverse. It comes with metal sidebars for support, plus a power lock brake system that automatically stops the vehicle as soon as your child lifts his or her foot from the pedal. Comes with large, rugged wheels that let your child drive on almost all types of surfaces and terrains with ease. The package comes with assembly wrench, screws and locknuts, sticker sheets, and instructions. The electronic power lock brake system makes sure your child can stop anytime, especially when the car is going too fast. The vehicle comes with a steel frame that’s strong enough to support up to 130 lbs. of weight. The wheels are made of plastic and can be very noisy, especially when the car is running over rough terrain. The buggy may be difficult to put together due to its size and the number of pieces that come with it. 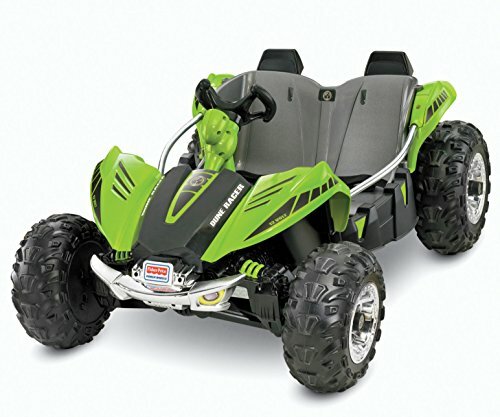 Among the top 5 choices, it’s clear that the best option is the Fisher-Price W2602 Power Wheels Dune Racer. It’s not always that you can find a toy car that can support even the weight of an adult. Concerning safety features, balance, torque, and size, it’s also apparently top of its class. And, with its big and rugged power wheels, it’s the perfect vehicle whether you live in the city or on a farm. However, in the end, your decision will come down to the individual needs of your child, and the rest of the other models reviewed here may be able to provide what you’re exactly looking for. 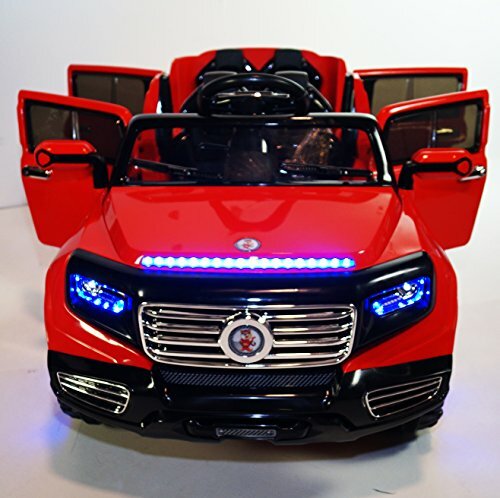 You may be asking, “Why should I buy my child a ride on car?” The truth is that there are several benefits for kids to play on ride on cars. The first is it allows them to pretend play. Pretend play is crucial to a child’s development, as it gives them the opportunity to think creatively. 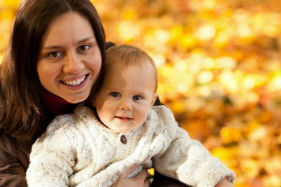 ​Another benefit of a ride on car is that it helps your toddlers with their balance and coordination. Some ride on toys need to be pedaled to run, training kids to use their arms and legs at the same time as they simultaneously pedal and steer. ​Finally, it helps children exercise and stay active. Most ride on cars get children up and moving. It’s a better option than giving them gadgets and video game consoles that encourage them to live a sedentary lifestyle. Regardless of the model of ride on toy you choose, it will always pose a risk of falling, tipping, and colliding. Minimize such risks by checking the safety features of the model before buying. However, it’s still important to make sure the toy comes with a seatbelt. Most importantly, always make your children wear protective gears such as helmets and pads before letting them ride. It’s important to choose a ride on car that’s appropriate for the age of your child. Also, consider your child’s balance and coordination skills. For kids 2 to 3 years old, it’s okay to opt for a pedal-powered model. When your child is 3 and above, he or she may be able to successfully operate battery-powered vehicles, such as trucks, cars, and planes. Most battery-operated ride on cars do not come with a brake pedal, but they only run at speeds of up to 5 mph and automatically stops as soon as you lift your foot from the accelerator, so colliding might not be a real issue. A good ride on car should have a low center of gravity. The spaces between wheels should be wide enough to make sure your child’s weight is supported. Before purchasing the car, allow your child to have a test run under your supervision to check if the car has good balance or not. Most models have enough power to run at 5 mph, but not fast enough to put your child’s safety at risk. If it’s your child’s first time to own a ride on car, consider a model with two speeds. Some models allow you to choose between speeds of 2.5 mph and 5 mph. Others also come with a high-speed lockout, so that your child does not drive too fast. There’s a wide price range (between $48 and $1,259) for ride on cars in the market depending on the model and manufacturer. Remember that regarding these kinds of products, you usually get what you pay for, so never compromise on the quality. If possible, keep in mind up to 10% hike when shopping for one. Concerning warranty, most manufacturers offer a 1-year warranty, but there might be some who would give you an additional year. Ask your retailer about the warranty they offer before sealing the deal. Ride on cars can be very expensive, no doubt, which is why you should consider the staying power of the toy before buying it. Make a sound investment by choosing a model you know would last not just months, but years, and something that your future children may still be able to use. That’s it for our top 5 ride on cars in 2018 and how to pick the best model for your child! If you have any thoughts you would like to share with us, don’t hesitate to drop them in the comments section below. Feel free to share this article, too, especially if you found it helpful!